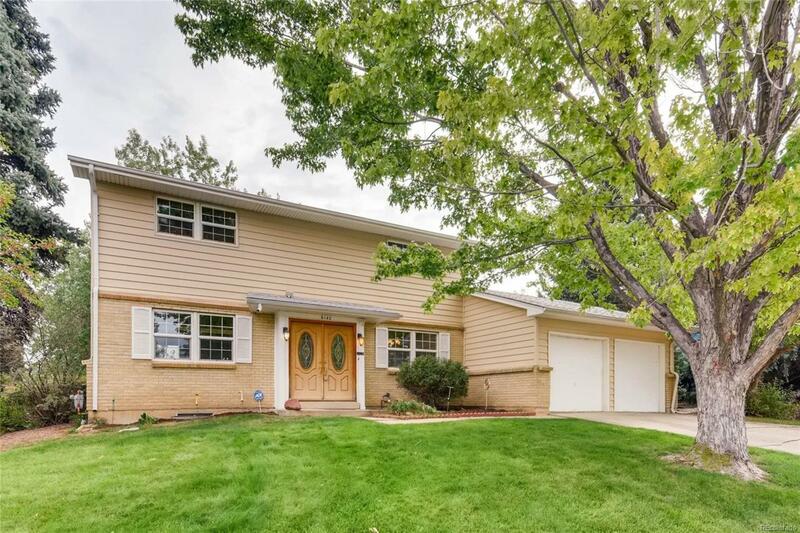 Dont miss out on this beautiful family home in Centennial/Greenwood Village area. Spacious 3 bedroom, 2 bathrooms upstairs and a 4th non-conforming bedroom in the basement. Large living room, formal dining room with another eating space off the kitchen. Large sunroom addition in 2003 off the kitchen/family room area. New furnace, HVAC and water heater November 2017, new roof July 2018. Large beautiful yard with mature trees, raised garden and fencing all around. Offered by Wilson Group Real Estate.